Although native to the southeast, this tree is hardy to northern Maine. It is found growing in swamps and can thrive in areas that are flooded year around. 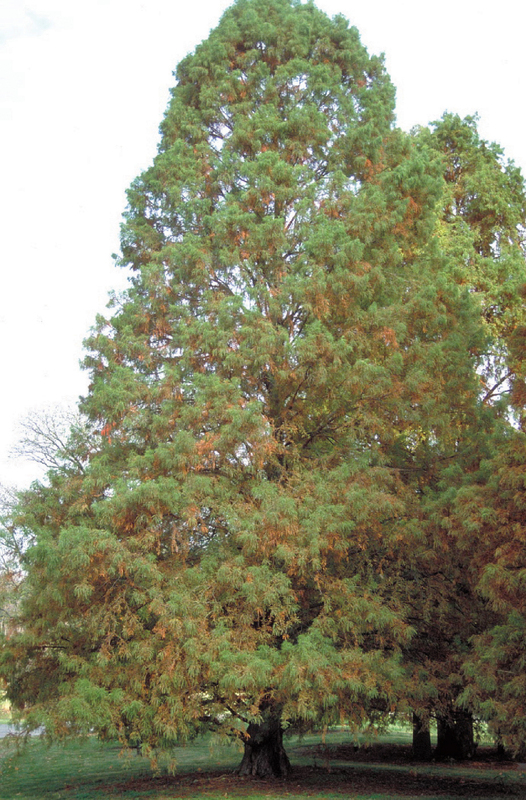 It is not only tolerant of wet sites but also survives in dry and compacted soils.Like the Dawn Redwood and Larches, Baldcypress is a deciduous conifer shedding its needles every autumn. Fall color of the Baldcypress is orange and quite pleasing. Grows 60-70' high and 25-30' wide. 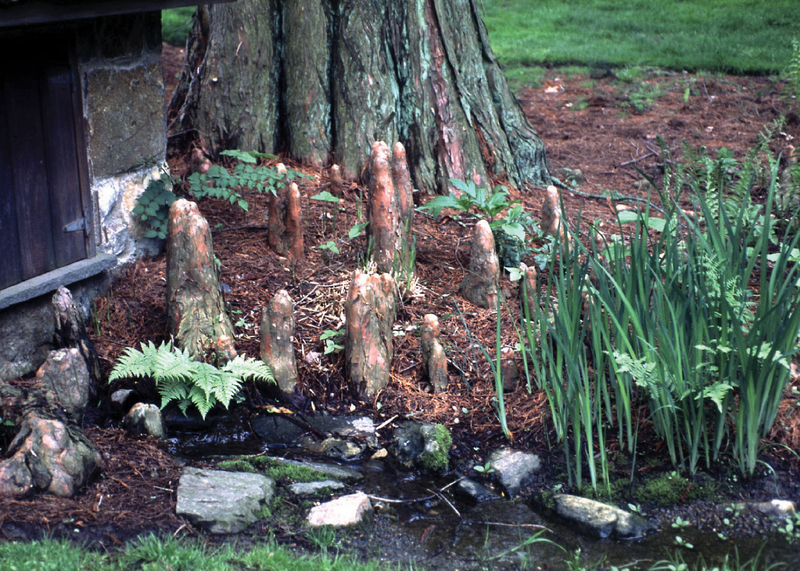 Baldcypress is a specimen tree with a unique features, not the least of which are the protruding 'knees' that grow around the tree in highly compacted or wet soils. The knees are very attractive, especially among other landscaping.